Bird migration is influenced by weather, making it hard to predict when birds will pass through a particular place on their route. A model that forecasts bird migrations has been developed using radar data and weather information. 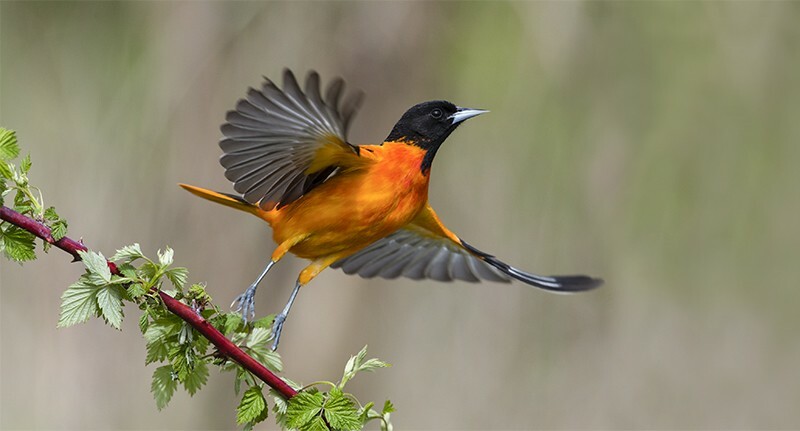 In our restless world, annual bird migrations can provide a transitory opportunity to glimpse beautiful avian visitors (pictured, the migratory Baltimore oriole; Icterus galbula). Birds’ journeys are influenced by the local daily weather, making it hard to predict when migrating birds will pass through a particular place on their route. Writing in Science, Van Doren and Horton report a model that forecasts bird migrations (B. M. Van Doren and K. G. Horton Science 361, 1115–1118; 2018). They created their model (http://birdcast.info) by analysing bird migrations using 23 years of radar data from 143 locations across the United States, and assessing the data on weather conditions for the migrations. Being able to accurately predict an influx of birds might enable temporary measures to be taken to protect these migrants from hazards: for example, by turning off wind turbines.